It took seven years. It spanned two console generations. It was the biggest undertaking in Australian games development. 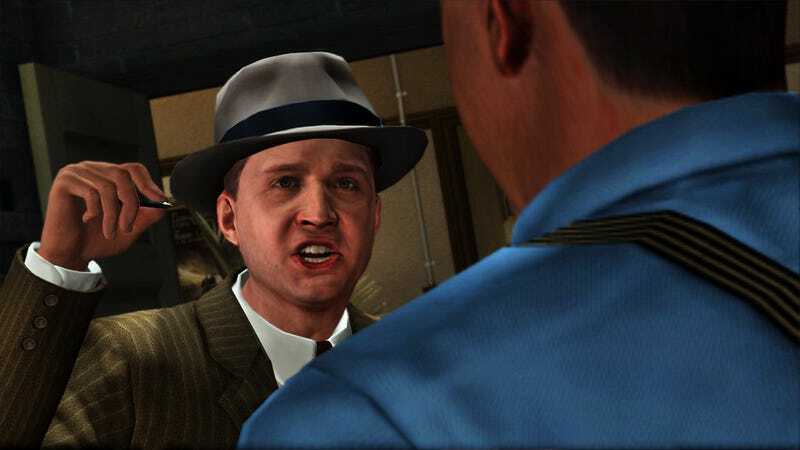 And the seven years it took to bring L.A. Noire to store shelves was consistently an unhappy time for many who worked on the game, reports IGN. The freelance journalist Andrew McMillen, writing for IGN, gives a comprehensive look at L.A. Noire's development, with stinging criticism from former Team Bondi staff and remarkably candid replies by the studio's founder, Brendan McNamara. Throughout, Team Bondi is depicted as a contentious studio populated by exhausted developers perpetually in the throes of "crunch," an industry term and one of its nastier little secrets. McNamara, to his credit, does not evade questions with corporate speak. Asked to account for turnover that saw at least 100 staff enter and leave the studio during Noire's making, McNamara replied that he thought the figure was actually higher than that. "Of the people we tried to build the game with, most of them would've never had any experience with this kind of thing before," he said. He also doesn't run from anonymous-sourced complaints about his management style, which some called verbally abusive. "Am I passionate about making the game? Absolutely," he said to McMillen. "Do you think that I'm going to voice my opinion? Absolutely. But I don't think that's verbal abuse." More troubling are the allegations IGN reports of unpaid overtime and manipulated job titles that dumped multiple job descriptions and 110-hour workweeks on some at insubstantial salaries. (The story alleges that overtime would only be paid out three months after the game was completed, requiring everyone to stay in order to be paid for that.) This is a common complaint in games development, especially here in the U.S. McNamara chalks up the workers' unhappiness to their disillusionment about what kind of field this is, and what it really means to be competitive in it. "The expectation is slightly weird here, that you can do this stuff without killing yourself; well, you can't," McNamara told McMillen. "Whether it's in London or New York or wherever; you're competing against the best people in the world at what they do, and you just have to be prepared to do what you have to do to compete against those people." Crunch is not a virtue. It's poor management coupled with abusive labor practice. Games development is shot through with the attitude that it's OK. We saw it when Danny Bilson of THQ casually remarked on the "thousand-yard stare" of Kaos Studios after two months of seven-day workweeks, making Homefront. (Kaos' ultimate reward: Studio closure, and the project being shipped to Montréal.) And they get away with it because the layperson conceives of video games development as a Wonkaland of fun that anyone should feel lucky just to be a part of. That, and the lines of developers waiting at the door for the next disgruntled employee to quit, help keep things solidly in the favor of ownership. "There's a lot of naivety amongst young game programmers out there," said one unnamed Bondi developer. "There's all this young enthusiasm to get into the games industry. People are willing to do so much to do it, but they're not educated about how they really should be standing up for themselves, and making sure that the conditions are right." There is much more to this story at the link below. Please do read it before you comment.